Not sure what the perfect gift may be for that special occasion? We do. Give the Walmart Gift Card, where that special person in your life can purchase the gift they want from any of our Canadian stores. Walmart is committed to saving Canadians money so they can live better. Each of our stores carries close to 100,000 different products ranging from apparel and home decor to electronics and grocery, plus specialty services such as pharmacies, garden centres, and vision centres. 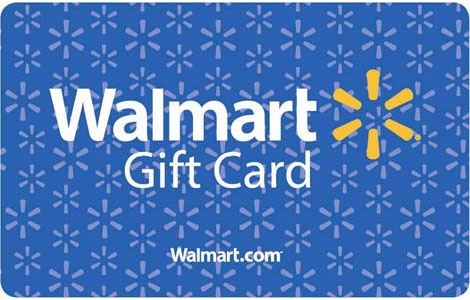 Order bulk Walmart Canada gift cards from National Gift Card Canada today! Issued by Walmart Canada Corp. Balance Inquiries: 1-888-537-5503. Card only valid for purchases at Walmart Canada (excludes licensees). Cannot be returned or redeemed for cash, unless required by law. Receipt required to replace lost or stolen cards. Card balance cannot be applied towards credit card balances. Returns of merchandise purchased with card will be credited to card only. Walmart reserves the right to cancel card if obtained illegally (including through fraud).